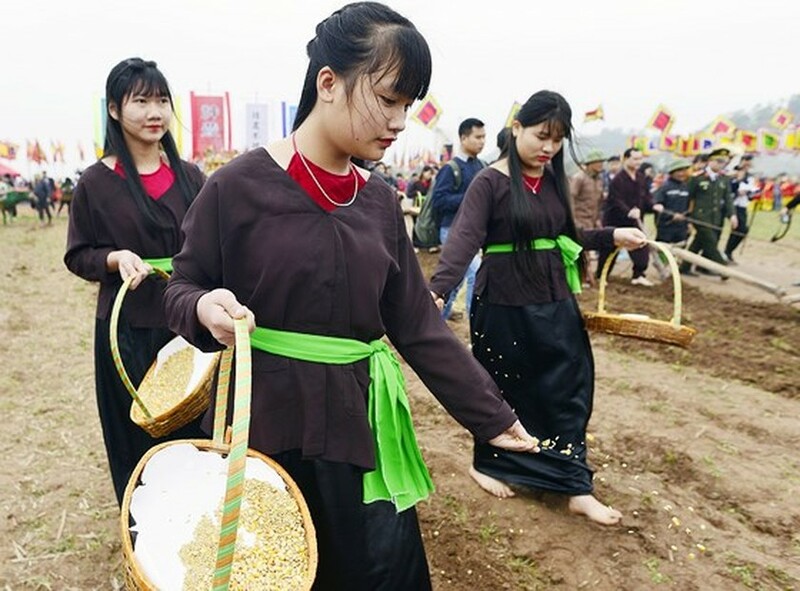 The Tich Dien (ploughing) festival praying for the farming year with good crops opened on February 22 in Doi Son commune, Duy Tien district in the Red River Delta province of Ha Nam. 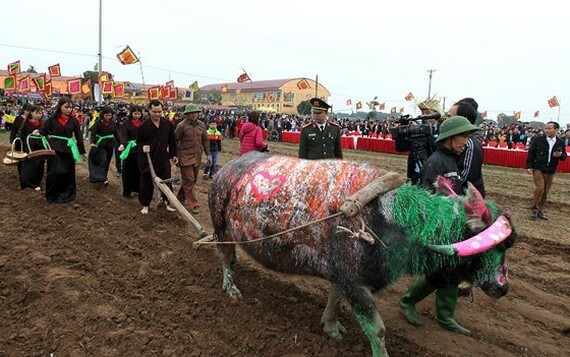 The annual ploughing festival which falls on the 7th day of the first lunar month was revived for the first time in 2009. 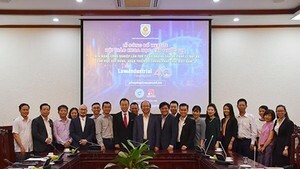 According to historical records, the first Le Tich Dien was held in 987 AD during the reign of King Le Dai Hanh in the then capital Hoa Lu (in the northern province of Ninh Binh nowadays). Since then, kings went to Doi Son every spring to perform the plough rituals to pray for a year of favorable weather and a bumper crop seasons. Many cultural activities, such as folk music and dance performances, parade, and incense offering are held during the festival. This year’s event also sees a buffalo bodypainting competition with the participation of local and foreign artists from the U.S., Spain, Vietnam and others. On this occasion, the provincial authorities gave certificates to 19 communes that were recognized as new style rural areas in 2017.